Kelly Russell Agodon is among my favorite poets writing today. Certainly her writing is a big part of the reason ( I frequently return to her book Small Knots for writing inspiration) but also because she is so willing to share with others many facets of her writing experiences. Her blog is a treasure trove of writing information. It seems like Tuesday has crept up on me today. I just had not given it much thought and it sort of thumped me against the side of the head just a while ago… it’s Tuesday, you need to get to the confessional! Last night I said something in the car in a moment of thought that was embellished in a bit of childlike excitement. My wife said to me that sometimes it seems she is married to a 5 year old. I don’t think it was intended to be a complement. I mean there was not particularly a tone of humor in her voice, nor was there really a scornful tone. Still, I confess that I was somewhat conflicted. I admit I can at times let my inner child come out to play. Don’t we all have one? Now I’m thinking perhaps that is her point. “We” don’t all have one. Could it be that I laugh at things or say things like this a little too often? Have most people my age put their inner child to rest permanently long ago? I can be a very serious person. Some have even suggested in the past that I take things too seriously. So if I attempt balance and let the little fellow out, is it a bad thing? We don't often venture out to the theater for new releases, we will wait for them to come back to the cheapo-movie house or rent them in dvd or just wait till they are on TV. We cast that all to the wind and went to see Inception. I'm not going to hash over the plot or anything in case you are planning to see it. I will say this, it's intense. It is a "stay alert" type movie and it challenges you in that regard. I'm a huge Ellen Page fan every since Juno which we did as I recall also see quite early in the release. I'll just close this topic by saying there was some of what I expected in the movie but plenty that I didn't. My wife likened it in a way to the movie A Beautiful Mind of many moons ago. I can see why she says that, but still it's really kind of not like anything you've ever seen. Yes, I know it's summer but Autumn Sky Poetry NO 18 is in full bloom! I especially liked Oblique by Melissa Butler and The Letter by Lew Watts. I used to love those little alphabet noodles when I was a kid. I haven't seen them in years. I found them in a store this weekend. They are just as good as I remember them. Another dog setting weekend at my son’s and writing mixed with some creative photo stuff, That and a very sore piggy that I stubbed this morning that has practically rendered me a cripple. Some major journaling. Reading in a couple of books, including a session with my dead poet mentor Anne Sexton. Yes, you heard me write. I went to Anne for help today having brought with me among other books her Complete Poems. I’ve turned to her a few times in the past with varying degrees of success. I believe she was quite helpful today. I have a new blog site for posting photos that I’m particularly happy with. You can find it here. What do I bring with me on one of these weekends to nourish my creativity with besides the already afore mentioned? The other day I was talking with a co-worker and made the comment that back when I was in school a mouse was just a rodent. In reply she quarried, "isn't it still?" I said, "What's that on your desk?" Her chair swerved back away, "Where?" This isn't a a ditzy person. Some changes we hardly bat an eye over anymore and clearly parts of language are among them. Pauk Jury's "5 Ways Texting Is Ruining Changing English" illustrates some of the ways we've progressed (I don't mean that like it sounds) in the past few years. I'm interested if anyone is employing or even stops to consider employing some of the common Textese language in there poetry? Maybe for effect? Ok, I mean besides in Flarf. Such language modifications are a part of our changing culture. I was saddened to learn of the passing of Daniel Schorr today. To me he was an institution. While in recent years his deep reassuring voice graced the radio waves via NPR, I recall his earlier network days and during the 70’s when at the height of the Vietnam War / Watergate era, his no-nonsense reporting earned him a spot on Nixon’s famed enemy list. While he won numerous awards, it seems funny to me, at that juncture in my life I felt making Nixon’s list was the ultimate prize. I had no idea he was 93, I suppose I just never gave it much thought. As an avid NPR listener I would listen to him throughout the week and especially his weekend edition wrap up of the events of the week. His mind was sharp right up to the last time I heard him. His analytical view of world events was generally in step with my own point of view on things… but in the occasional instance where we differed, his arguments were none the less sound and would give me pause for consideration. While rare, he was capable of turning my thinking on things, but the rarity of this has more to do with the amount of mutuality of thought and less on his often convincing arguments. His voice was deep and resonated well on radio. If there was anyone who was born for radio, he was surely it. I already feel a void on the radio dial. Cathy has expressed the opinion that I always look half dead after mowing the lawn in the heat of the summer. I confess that I’m not one to argue this. But in my own defense I will point out that I prefer to look at it as looking half alive. This is a good thing isn’t it? I’m so totally addicted to diet Coke. Not diet Pepsi- no way. I confess that if I’m at a dining establishment that only serves Pepsi, it’s probably going to be Ice water or Tea for me. My family believes the perfect job for me is quality control for Coke. Trust me… I know when it’s just perfect… it has to have that cool burning sensation as you swallow it. It seems to be getting harder to find a good quality fountain Diet Coke. Quick Trips used to have among the best, but even they seem diluted these days. I confess today was a really rare day as I didn’t have ANY diet Coke. I confess I am having a glass of Chardonnay at this moment though. I've actually been enjoying Merwin as a poet for quite a while now. I own three of his books, one being Migration which is a quite lengthily manuscript so I've read a lot of his work. As such, I've learned a bit about him over the last couple of years, but recently, a few more facts and I believe he is as interesting a person as he is a part of the American poetry landscape. Here are a few of the more interesting bits of information. How many of these did you already know? 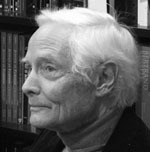 Merwin is a two time Pulitzer Prize winner and was a winner of the National Book Award (for Migration). He and an earlier wife, Dido figured prominently in a period of time when Sylvia Plath and Ted Hughes were in Europe. Merwin was the son of a Presbyterian minister. The 18 year old Merwin sought out the advice of poet Ezra Pound, who told him to write 75 lines every day. He claims to never have composed a poem on any sort of mechanical or electronic device, preferring a small spiral notebook or even a paper napkin. He does not have e-mail, further says he doesn't want it. He was first awarded the Pulitzer Prize in 1971, and used the occasion to speak out passionately against the war in Vietnam, donating his prize money to the anti-war effort. He has began studying Zen Buddhism in the 1970's. Merwin, a pacifist, was incarcerated in a naval mental hospital near the end of the second world war for his pacifism. He has translated materials from from French, Spanish, Italian and Portuguese, among other languages. So how many of these things did you know? What if anything surprised you? time for you dear one. and some must be sifted twice at least. it is for want of more harmony. to build a better loaf. I received a signed copy of Susan Rich’s book The Alchemist’s Kitchen the mail [books in the mailbox always trump bills] I’m reading it and very much enjoying it. Got a little excited about the new Poet Laureate news. Did Snoopy dances around the house when the National League won the All-Star Game. The dogs… always the dogs. W.S. Merwin is among my favorite poets and I am ecstatic at the news he is to serve as the next U.S. Poet Laureate. NEW YORK — Billy Collins, one of the country's most popular poets, had never seen his work in e-book form until he recently downloaded his latest collection on his Kindle. "I found that even in a very small font that if the original line is beyond a certain length, they will take the extra word and have it flush left on the screen, so that instead of a three-line stanza you actually have a four-line stanza. And that screws everything up," says Collins, a former U.S. poet laureate whose "Ballistics" came out in February. When he adjusted the size to large print, his work was changed beyond recognition, a single line turning into three, "which is quite distressing," he adds. To me and I would presume most other poets, the way words appear upon the printed page is so vital to the integrity of the work. For the formatting to shift and create new line configurations is like printing a picture of the Mona Lisa in a book with the left side on a right handed page and the right side on the flip side. Who in their right mind would do that? Admittedly I am very visual orientated when it comes to poetry. I do enjoy going to readings as well as giving readings but I place a very high premium upon seeing the words on a page. The idea of such formatting issues in e-books is a very big turnoff to me. A few days ago I posted the following Anne Sexton quotation, "Even so, I must admire your skill. You are so gracefully insane." Lucindyl was curious about it asking if I knew in what context it was used and suggesting it must have a good story behind it. The line is actually from a poem titled Eulogy In the Classroom by Sexton. I am imaging that it is a representation of the poet Robert Lowell who taught a class that Saxton, Plath and George Starbuck all were associated with. Given Sexton’s tendency to write Confessional Poetry it would not seem to be too far a reach to come to this conclusion. From everything else that I have read about Sexton and Lowell it would seem that she had quite a bit of respect for his brilliance even as she surely must have seen his decline in mental status. The independent bookstore that has graced the midtown area of Kansas City for years is taking it to the burbs. They aren't moving, just cloning themselves sort of. Actually, come Friday they will reopen Parkside Books, 208, N. Missouri 7, in Blue Springs as Prospero’s Parkside Books. Beginning Friday and lasting through Sunday they will celebrate the official grand reopening along with a tent sale where some paperbacks will be priced at a buck and hardbacks as low as two bucks. Half the proceeds going to two not-for–profit charities… the Hope House and Write the Future. At a time when many Independent Book Stores are closing, this is good news! And Prospero's has been a big supporter of local writers and particularly poets. I haven’t heard if they are planning anything like the poetry pit at the new location yet. Technorati Tags: Prospero’s Parkside Books. I confess that I’m tired today. Is it age? What is it that leaves me without energy by mid day. I think the people in Latin America have the right idea about an afternoon siesta. Last night I did not write. Instead I fixed dinner, mowed the front yard and watched the Home Run Derby. I confess that I should have written because tonight I will want to watch the All-Star Game. So what will probably happen is that I will try and write while I’m watching it, or write after it when I am even more tired then I am presently. Of course I will likely beat up on myself for being lax in my writing come Wednesday. Have I mentioned how annoyed I am at spammers that post comments on my blog.? I love people to comment, good bad or indifferent, but not post their spam. In fact, sadly that is the reason I went to moderated posts a couple years back. So people that insist on being jerks are not going to get their span on here anyway and would do well to stop wasting time. I confess this makes me grumpy. My wife made a really interesting suggestion for a poem the other day. I confess this suggestion is really interesting has not fallen on deaf ears. It is in fact so intriguing that I have been thinking a lot about it because I want to do it justice. Cathy is very supportive of my writing but generally only cares for my most straight forward (accessible) work which means since I really like things more abstract I generally lose her interest on these pieces of work. I confess I should try to make this poem one that leaves little to the imagination so that she appreciates it. 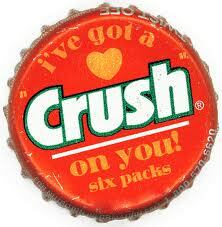 I confess that I am all confessed out for now… hope everyone has a great week! Tanks for listening. This week I’ve started my mornings reading from Mary Oliver’s Thirst. It’s been a good way to get the days off. What I like about these poems is their spirituality. By this I’m not inferring religious so much as I am their contemplative nature and quite frankly “nature” is another very notable aspect of many of the poems. I’ve read a handful of other poems by Oliver, plus I heard her read locally not that long ago and many are laden with rich images from the outdoors. Her poetry isn’t particularly complex but it is easy to climb right into them. I would not want a diet of only poetry like this, but I am happy to supplement my poetry tastes otherwise with these gems. Sakineh Mohammadi Ashtiani is a 43 year old Iranian woman who faces death by stoning after being convicted of adultery. She has already spent five years in prison and received 99 lashes for alleged adultery, the issue of her innocence or guilt not withstanding, the fact that Iran would in this day and age stone people to death is brutally abhorrent. It speaks loudly about the barbaric state of the Iranian government. People around the world should speak up concerning this and can do so by signing the Save Sakineh Petition and or the Protest e-mail here: International Committee Against Stoning. It would not hurt to share these kinks with friends or via twitter or facebook, etc. It’s late Tuesday and I’m rushing to get my weekly confession done before I turn into a pumpkin at midnight…. A week ago we lost some channels on cable. It’s been a frustrating week dealing with the cable people with various different stories as to the problem but still no resolve. I won’t go into the gory details but the short version is we are still where we were a week ago after spending multiple hours on the phone. Now we are awaiting a technician on Saturday because they now have run out of explanations. All this is to say that I confess that I do not enjoy these kinds of drawn out things. I like to think that I can be a patient person and in many respects I believe I am, sometimes maybe even to a fault, but I’ve lost my patience on this situation. I’ve almost lost my desire for cable as well. I confess that I may be a _________snob. (insert your choice of word) My wife has accused me of being a poetry snob, a wine snob and I admit I am very likely a coffee snob. In the case of the latter for example I do not care for the coffee we have at the office. I’ve come to the conclusion that one of the reasons I am hard to satisfy when it comes to coffee, it comes down to the fact that I’d rather drink espresso that coffee. I’m probably a wine snob too because I tend to favor white wines… especially Chardonnays and prefer Northern California to most imports. There are some good Northwest Chardonnays as well. As for poetry…. ok, I confess I do have my idiosyncrasies about what I like and what I dislike, but what poetry lover doesn't? Does that make me a poetry snob? in a basket of labor. they are all mingled together. the day from the garment. I heard an NPR piece this morning about Jennifer Karady a photo artist who has an exhibit titled "Soldiers' Stories of Iraq and Afghanistan," appearing at SF CameraWork in San Francisco. Her approach can be found within the juxtaposition that presents itself when a soldier returns to what I will call the “normalcy” of life back at home, but retains the searing images in the mind that have come with their war experiences. I’m curious what others who see these photographs feel about this art work, so go check them out on line and tell me what they do for you. A link to the NPR Story can be found here. Jennifer Karady’s own web site. This video is Susan Rich reading one of her poems from THE ALCHEMIST’S KITCHEN. It was a real treat to hear her read this piece. I’ve borrowed it from her blog and hopeful she will not mind. The poem is titled "At Middle Life: A Romance" and what I like about it from a purely technical point of view is that it combines all three components that I believe complete a poem (unless of course you are dealing with something experimental) and they would be a cadence or rhythm, musicality, and just the right language in the best order for the human senses to be present in the poem. On occasion I seem to get maybe two of these three components together, hitting all three is the objective I long for. In the absence of achieving it, the next best thing is finding one another poet succeeded at. Thanks Susan! As a bonus I am a romantic at heart and find this one to speak to me personally. Technorati Tags: Susan Rich,The Alchemist's Kitchen,"At Middle Life: A Romance"
I don’t know the time which is only important for for what I don’t know. The back yard breeze across the deck gently pats my face and the shade moves about with no more exertion than meandering dogs with inevitability seemingly low in priority. It will not be like this all day- a value added fact. It is for the present just what it is and I accept the gift. Between last night and this morning a poem was born of observation. It seems my mind was open to the possibility last night and still graciously accepting enlightening thoughts this morning. The summer breeze clears the mind to make room for the possible.